This is an aerial map of where each section will be on day of show. Volunteers will also direct you to the correct location. 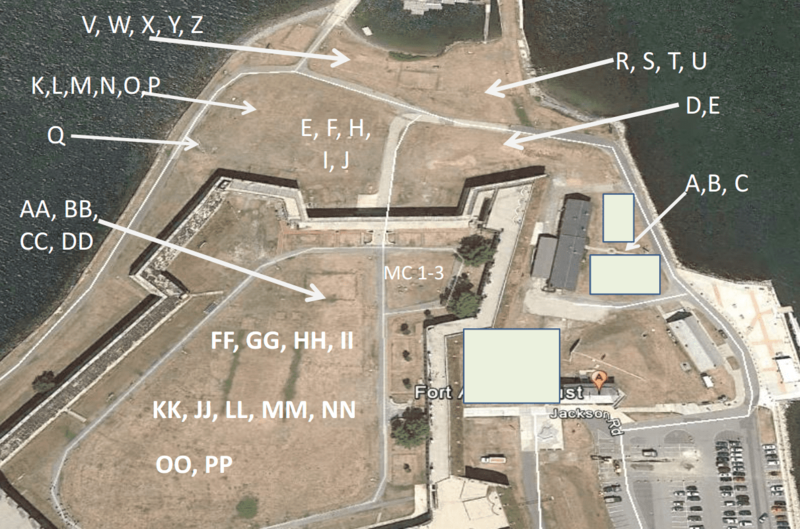 The white areas are early-bird parking, but should you arrive later, there is ample parking near the Fort entrance.